Mod allows you to receive up to 6 times more drop from any mob or plants. Thanks to mode you will collect up to 6 times more subjects, and therefore you do not have to kill a lot of mobs to collect the right amount of drop for recipes. 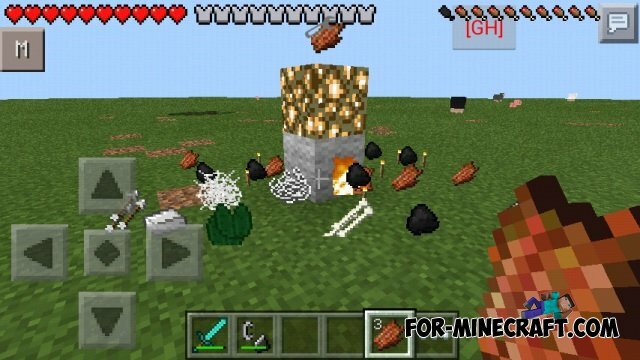 Immediately after installing the mod automatically activated and will provide you with every kill mobs or plant 6 times more things! In addition to standard plants and mobs, mobs that bring new drop, just increase the amount of drop to give them.